Trains have been an important part of Arkansas’s history since the mid-19th century. As early as 1852, construction began on railroads within the state when the first operational railroad was laid between what is now known as West Memphis and Madison. The line later became known as the Little Rock Railroad. Although several rail lines were planned throughout the state, as the Civil War loomed, many of those plans were abandoned. Most of the existing lines needed extensive repairs or complete replacement after the war ended. During Reconstruction, progress on building railroads was slow, and by the time 1870 rolled around, less than 300 miles of track had been completed. Fortunately, construction began to pick up steam, and by 1874 another 150 miles had been completed. Soon after, during a period of real progress, 800 miles of functional track spanned the state by 1880. Peaking around 1914, the railroads crisscrossed the nation with over 254,037 miles of track, and 3,360 miles of them were in Arkansas. 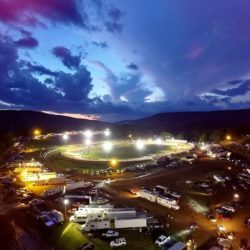 At a time when railroads began declining as a means of travel and transport in the rest of the country, Arkansas continued to expand, reaching a peak of 4,700 miles of track in 1941. 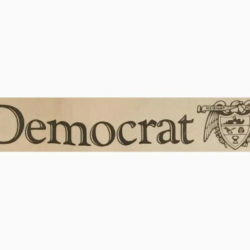 But, as the automobile grew in popularity, Congress passed the Federal Aid Highway Act of 1956, and Arkansas railroads began to decline. Passenger trains were slow and often unreliable, causing a further decline in the use of rails for travel. According to the Arkansas Department of Transportation, Arkansas had 2662 miles of active railroad in 2015, most of which are privately operated. In 2015, approximately 167 million tons of freight were transported over the Arkansas Rail system with 70% of that passing through to other states. Cabooses became an iconic symbol of railroads and were used on every freight train in North America until the 1980s. Cabooses began as modified flatcars or boxcars and had many uses. 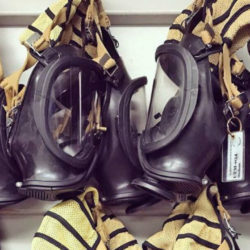 They often contained the conductor’s office, provided shelter and a sleeping area for crew members and sometimes contained small cooking facilities. Cabooses were located at the back of the train and enabled the crew to keep an eye on the train’s load and were required for switching and shunting. When new laws and advanced technology led to cabooses being phased out in favor of rear-end-devices in the 1980s, many cabooses were sold or donated. Although the use of railroads continues to decline, there remains a fascination with rail history. Small scenic lines, railroad museums and even railroad-themed restaurants endure throughout the state — the historic remnants of these iron horses on display all over Arkansas. Kids, families, and train enthusiasts won’t want to miss these cabooses located all over the state. Caboose No. 385. Photo by Brandon Rush, Creative Common. At the intersection of Arkansas Highway 59 and West North Street in Decatur, Arkansas, sits a historic train depot and two historic railcars. The Kentucky-Southern Depot was built in 1920 and was added to the National Register of Historic Places in 1992. 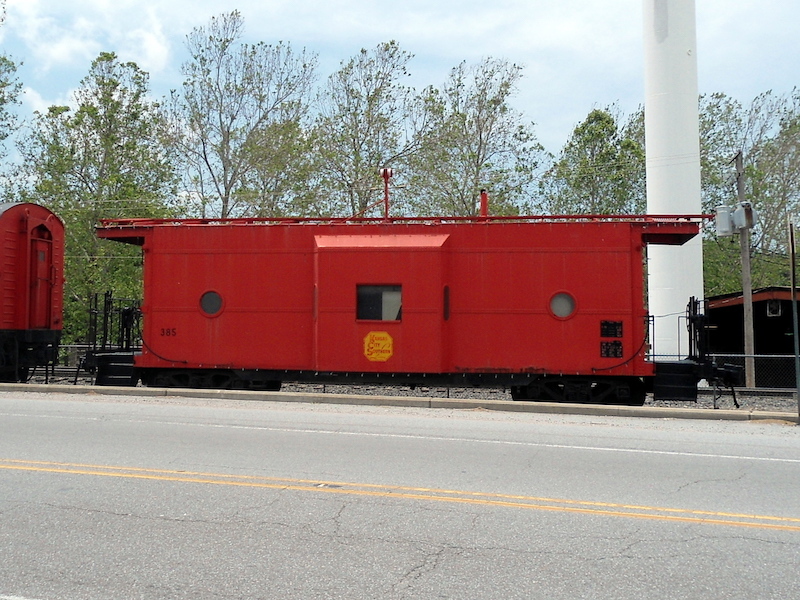 Beside the depot, visitors will see the Kansas City Southern Railway Caboose No. 385. The caboose was built in 1952 and remained in use until the 1990s. The caboose was purchased and restored by Peterson Farms for display and was added to the National Register of Historic Places in 2006. Caboose No. 383. Photo by Brandon Rush, Creative Commons. Built in 1952 by the Louisiana and Arkansas Railroad, caboose No. 383 was in service until 1990. 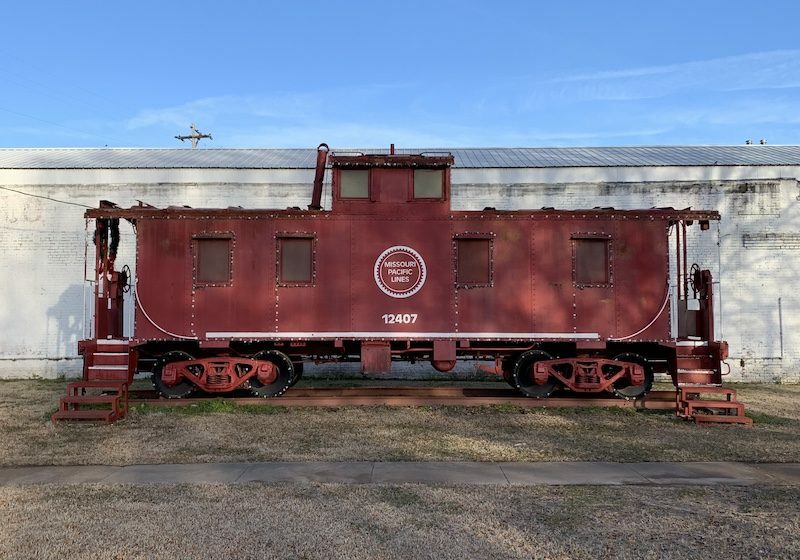 In 1991, the caboose was given to the city of Gravette who restored it and placed it on display at the intersection of Arkansas Highways 59 and 72. The caboose is unique in that it was built with bay windows rather than a cupola for observation. This was designed to aid observation of increasingly larger loads being carried by trains. The caboose was added to the National Register of Historic Places in 2010. Cotter was once one of the largest towns in north Arkansas and was a trade hub in the early 1900s. Hoping to capitalize on this, the Missouri-Pacific Railroad bought land in the area and sold plots throughout the town, mostly to railroad employees. The Railroad then built a line through town, and the first passenger rail arrived in 1906. Today, the Missouri and North Arkansas Railroad leases the track from Newport, Arkansas to Kansas City, Missouri. The majority of rail traffic comprises empty coal trains from the Independence Power Plant. The town honors its railroad history with the Anglin-Tinnon Railroad Workers Memorial, and the park features a granite monument, a brick wall displaying names of railroad workers, a sculpture of a conductor, a restored caboose, and a railcar that was converted to a caboose. UP 25383 was built in November 1955. The bright yellow caboose contains a center cupola and was in operation until its retirement in December 1986. The caboose was donated to the city of England and stands on the site of the razed Cotton Belt RR building. UP No. 24565. Photo provided by James Doughty. From 1964 to 1974 Union Pacific (UP) and Rock Island (RI) were planning a merger. Union Pacific leased 130 steel bay cabooses to Rock Island. Formerly painted red to fit Rock Islands paint scheme the RI 17147 also had a yellow end. When Rock Island shut down on April 1, 1980, the equipment was returned to Union Pacific, and they began to rebuild many of the cabooses and place them back into service for UP. The caboose was repainted with the UP yellow and gray paint scheme and placed back into service. 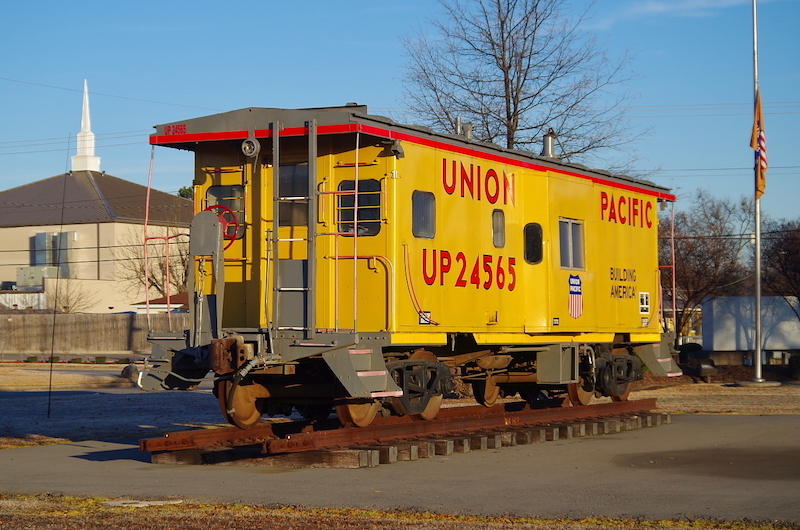 In May 2012, UP 24565 was placed on permanent display at the Vine Street entrance at the Union Pacific North Little Rock Terminal. In late December 2018, the Randolf County Heritage Museum opened the doors to its newly restored Frisco Train Depot Museum. The fully restored 1920s building now features information and artifacts regarding the unique and significant history of transportation and commerce in the area. Adjacent to the museum grounds in a historic Magor Caboose. MP No. 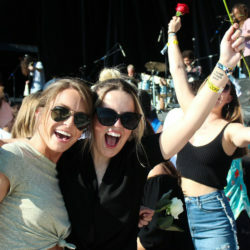 12407. Photo provided by Mayor Jeff Owyoung. The railroad is no stranger to McGehee. 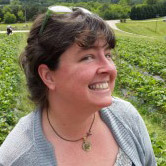 In fact, the railroad had a significant impact on the community allowing farmers to market their crops to an increasing number of towns and McGehee grew to be one of the largest cities in the area. 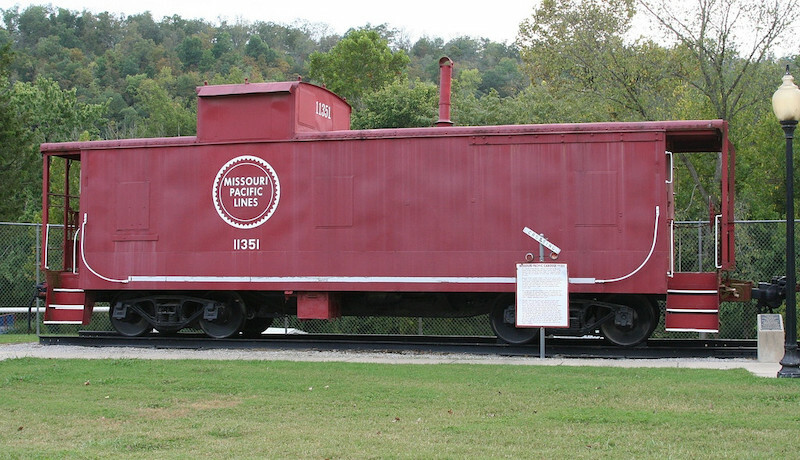 The Missouri Pacific Caboose #12407 is a center cupola caboose and was donated to the city by the railroad. The caboose is located in the city park. The Missouri Pacific Caboose 13675 was built in October 1976 by the International Car Corp. It is 41 feet in length and has a bay window. 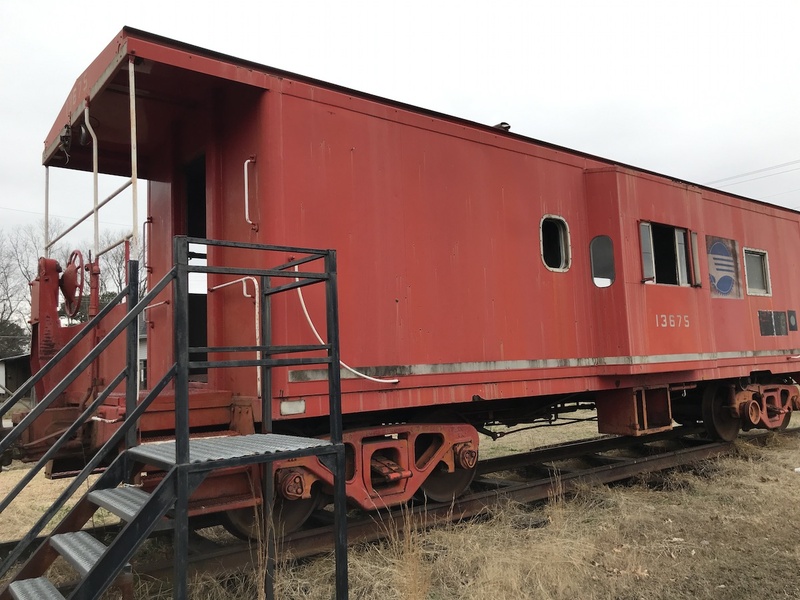 The caboose only remained in service until 1986 when it was retired on July 25 in Sedalia, Missouri and donated to the city of Bald Knob. MP 13675 used to be located next to the library in Bald Knob but was moved to the freight yard beside the depot around 2010. Kensett is yet another rural area that became a town when the railroad came through. In 1872 the Cairo and Fulton Railroad (later the St. Louis, Iron Mountain and Southern Railroad) was built in the area, and the Kensett Post Office was established later that same year. In 1907, the Missouri and North Arkansas Railroad (M&NA) was built through town propelling Kensett as a local trade center and a shipping point for the cities of Searcy and West Point. The Missouri Pacific Caboose No. 11345 has an offset cupola and was built in 1948. In the early 1990s, Martin Palmer, a retired railroad worker, arranged to have the caboose donated to the city. 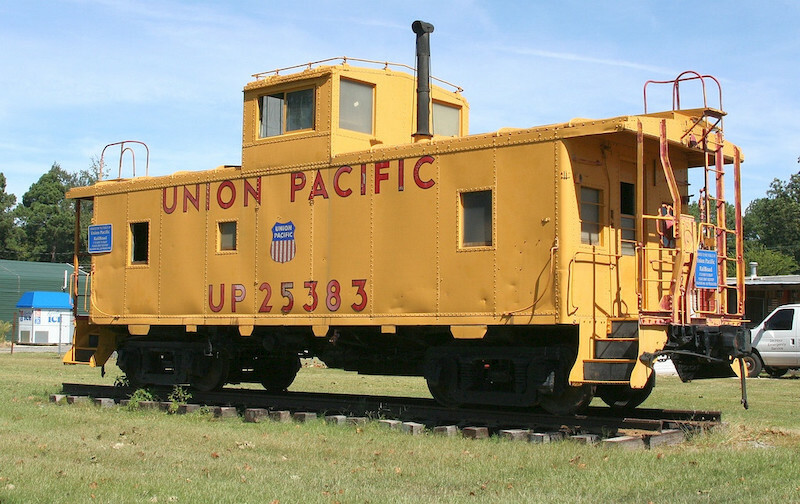 Although the caboose bears the Missouri Pacific name, it was owned and donated by Union Pacific. Union Pacific used the railroad to deliver the caboose close to the city park. 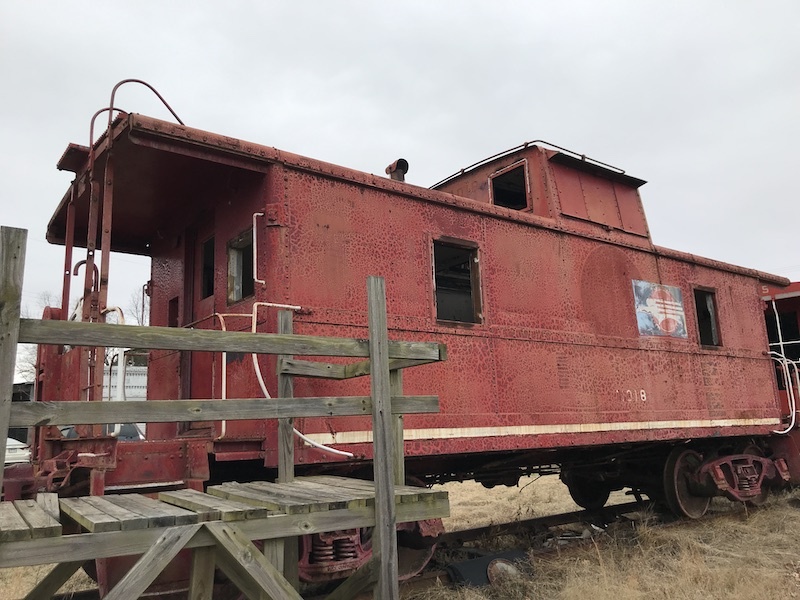 To get the caboose to its current location, several railroad workers banded together with members of the community to build a temporary railroad track. The whole community came together and in just a few hours constructed a track and then used a backhoe to push the caboose to its current location. The hard work was rewarded with a community picnic and an evening of fun with friends and neighbors. 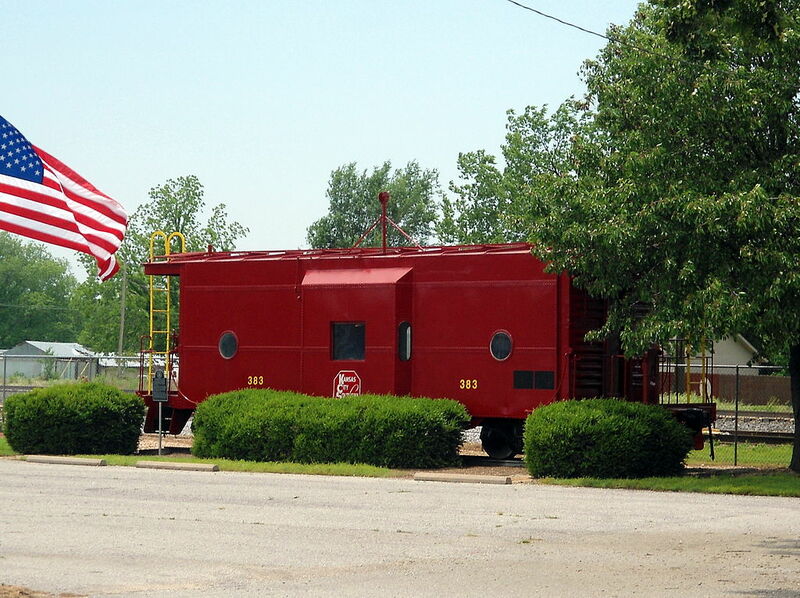 Located at Arkansas Traveler Hobbies, a historic depot and train store/museum, the Missouri Pacific Railway Caboose No. 928 (now labeled as MP 11018) was built in 1937 by the Magor Car Corporation. This cupola-style caboose was one of the first generation of steel-framed cupola cabooses built. The caboose was used by Missouri Pacific until it was retired in 1986. 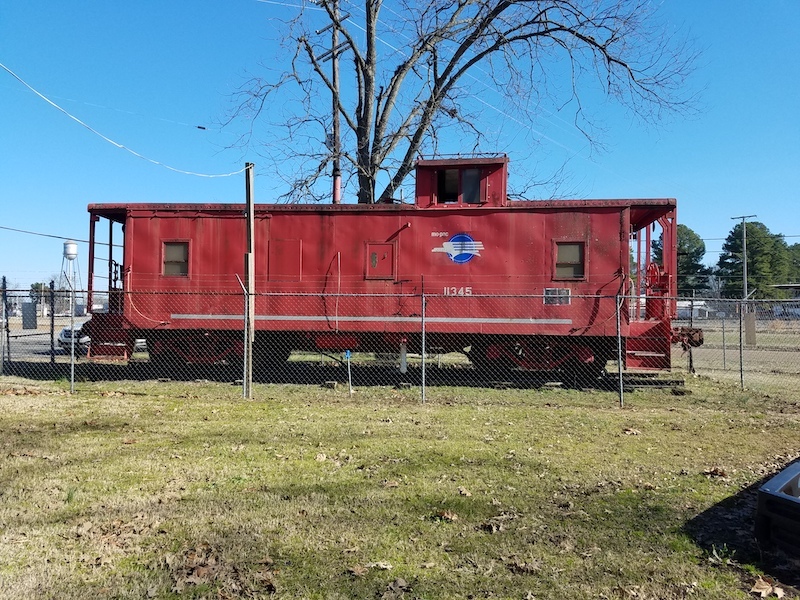 Many visitors recognize this caboose as the same one located at Riverside Park in Searcy, Arkansas for many years. 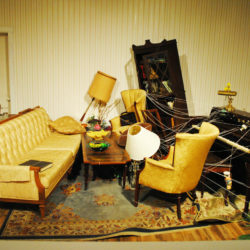 In 2009, it was transferred to the White County Historical Society and then moved to the depot in Bald Knob. The caboose was listed on the National Register of Historic Places in 2011. Ready to learn more? Check out the other installments in our Historic Trains series.